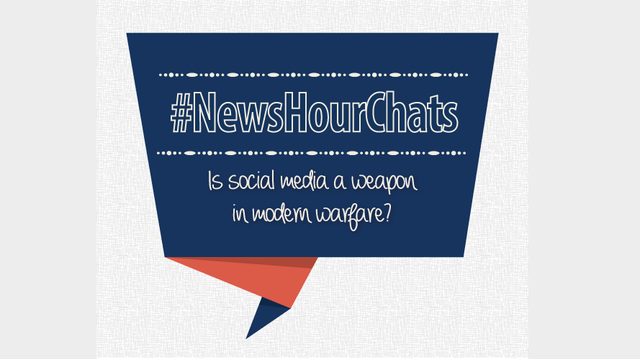 #NewsHourChats: Is Social Media a Weapon in Modern Warfare? Join the conversation in a Twitter chat 1-2 p.m. ET, Thursday, July 31. John Little, who blogs about international relations and national security on his website Blogs of War, will participate through his Twitter handle @BlogsofWar. PBS NewsHour foreign affairs producer @PJTobia will also contribute. 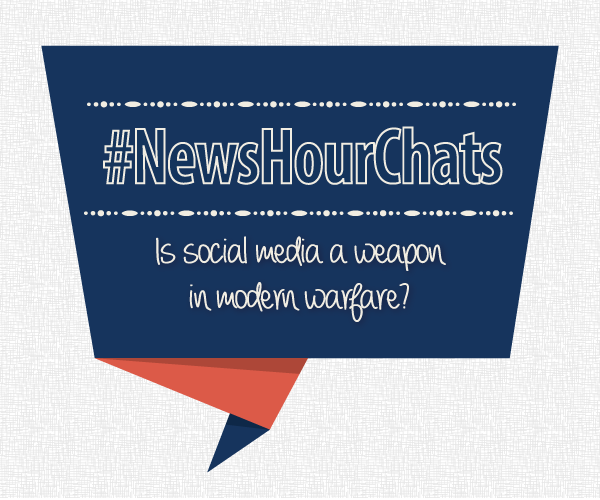 Follow along and weigh in using #NewsHourChats. The full version of this post originally appeared on PBS NewsHour's Rundown blog.